A gentle oil free and alcohol free eye & lip make up remover that gently cleansers the eye area without irritation. Contains Panthenol & Rose Flower Oil to help retain moisture in the skin. 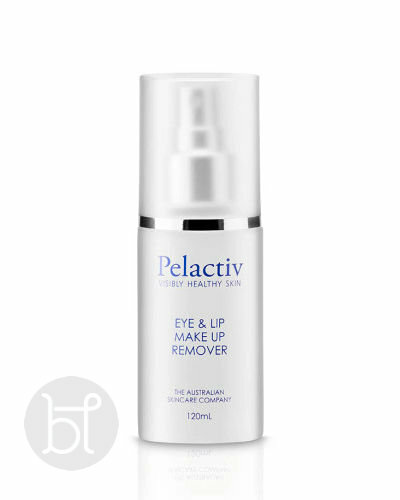 This Pelactiv eye and makeup remover is a gentle oil free and alcohol free eye & lip make up remover that gently cleansers the eye area without irritation. Contains Panthenol & Rose Flower Oil to help retain moisture in the skin. Suitable For : All Skin Types even sensitive. APPLICATION : Saturate cotton pads, leave on the eye/lip area for approximately 1/2 a minute and gently but firmly wipe the eye and lip area. Rose Otto Known for its hydrating and soothing properties. D-Panthenol Also known as vitamin B5 – helps to support the skin’s ability to manage stress. It works to support skin by maintaining the strength of the skin’s barrier.